He was the King of Rock ’n’ Roll, but Elvis Presley could handle sentimental ballads as well. In fact, his ability to sing a love song was the key to his popularity in the long run. Early on it was Elvis’s edge over other rock ’n’ roll “shouters,” like Little Richard, Jerry Lee Lewis, and even Chuck Berry. Presley’s ballads provided balance to his musical catalog, and it was his ability to deliver both rhythm and slow songs that allowed him to transition into pop music’s mainstream in the early sixties. Below is my list of Elvis’s top 10 ballads. It’s a mix of classic Presley recordings and my personal favorites. We’ll start with #10 and countdown to #1. This is a personal favorite. When I purchased the hodgepodge “Elvis for Everyone” LP in 1965, “Tomorrow Night” was my favorite track on the album. The recording was mesmerizing, and Elvis’s deeply echoed voice was a welcome throwback to his Sun Records days. It wasn’t until years later that I learned the recording was actually an extensive remix of a Sun master from 11 years earlier. 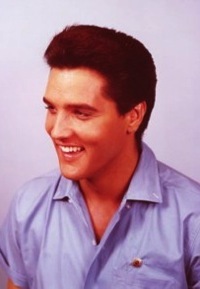 Elvis laid down his vocal track for “Tomorrow Night” at Sun Studio sometime in September 1954. However, this master, which bears no resemblance at all to the 1965 mix, wasn’t released until after Elvis’s death. 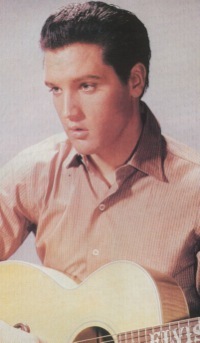 According to Elvis session expert Ernst Jorgensen, Elvis’s 1954 vocal was “overdubbed with guitar, harmonica, and backing vocals” to create the 1965 release. 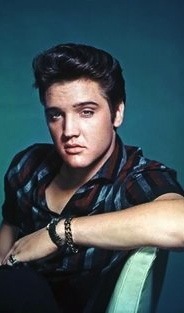 It’s obvious that Presley’s voice was also altered in the process. Still, to my ear, the 1965 remix remains every bit as memorable as the 1954 master is forgettable. Jorgensen called this Doc Pomus-Mort Shuman composition a “portrait of late-night desolation” and an example of “Sinatra-style balladry.” Elvis delivered the song’s message of unrequited love from a darkened nightclub in Viva Las Vegas. The mood was a bit out of place in that musical comedy, but the scene and sentiment highlighted Elvis’s ability to deliver a lonely ballad. 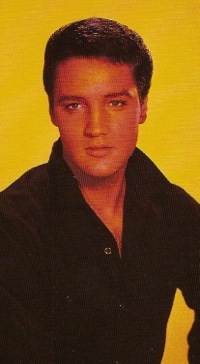 “I Need Somebody to Lean On” would have been a perfect flip side for Elvis’s 1964 single release of “Viva Las Vegas,” but RCA chose to back the title tune with another rhythm number, “What’d I Say.” The ballad first appeared as one of four cuts on the film’s soundtrack extended play release. Elvis recorded “It’s Impossible” live in Las Vegas at the Hilton on February 16, 1972. Ernst Jorgensen labeled the tune a “grief-stricken ballad,” one of a number Elvis selected in an effort to “sing his way through his own pain and heartache” resulting from the breakup of his marriage. Wherever the source of his passion, Elvis’s interpretation of “It’s Impossible” that evening was one of the best ballads he ever offered from the stage. The tune was a previous hit for Perry Como, and so Elvis never recorded it in studio. When it first appeared on Elvis’s 1973 “Fool” album, it was the highlight on an otherwise disappointing LP. As 20th Century-Fox had done with Elvis’s first movie, Paramount decided to name Presley’s second movie after a ballad in the soundtrack. And RCA again chose to release the film title tune as a single. Company execs, however, decided none of the versions recorded for the film soundtrack in January were strong enough for a single, and so Elvis went back into Radio Recorders studio in Hollywood on February 24, 1957, to record a version suitable for single release. 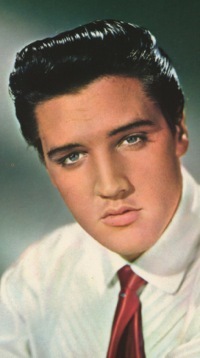 Unlike the up-and-down vocal treatment Elvis had given many of his previous ballads, his performance on this Leiber-Stoller tune was traditional and sentimental. 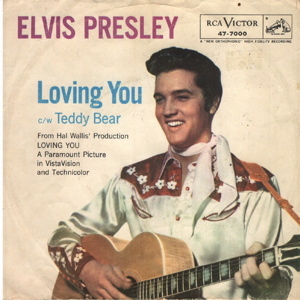 Although its single pairing, “Teddy Bear,” soared to #1 on Billboard’s chart, “Loving You” displayed amazing staying power for a B side on the “Top 100.” Although it reached no higher than #28, it remained on the chart for 22 weeks, only 3 weeks less than it’s blockbuster flip side. 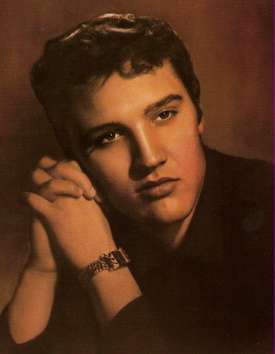 Elvis was in a ballad-singing mood late on the evening of March 12, 1961. In a recording session that stretched into the early morning hours of the next day, he recorded three remarkable ballads one after the other—“There’s Always Me,” “Starting Today,” and “Sentimental Me.” The latter, a cover of an Ames Brothers’ 1949 hit, was completed in just two takes. “Sentimental Me,” along with the other two, was issued on the “ballad” side of Elvis’s 1961 LP “Something for Everybody.” Musicians Hank Garland, Bob Moore, Buddy Harman, Floyd Cramer, and Boots Randolph joined Scotty and D.J. in laying down a slow, steady beat, while the Jordanaires closely backed Elvis’s solid vocal. The result was one of the most beautiful ballads Elvis ever recorded. Instead, Elvis recorded one of his most heartfelt ballads that day, one that has been a personal favorite since I first heard it on the World’s Fair soundtrack LP in 1963. “This is my song,” Elvis declared when he took up Don Robertson’s “There Always Me” during a session at RCA’s Studio B in Nashville late on the evening of March 12, 1961. Elvis obviously enjoyed recording this one, which had a big voice ending, unlike the vocal fade out featured in most of his ballads. 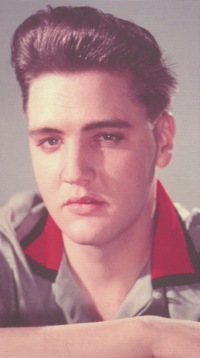 According to Jorgensen, Elvis later played the recording for Robertson with obvious pride. 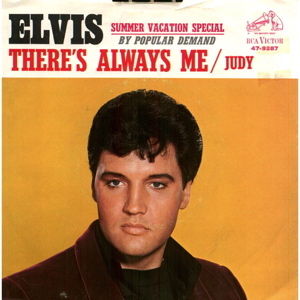 Six years later, when RCA was compelled to issue some old Presley album cuts as singles, “There’s Always Me” went on the singles market. In the fall of 1967, it charted on the “Hot 100” for just six weeks, peaking at #56. In 2004 the song was among a handful of Elvis ballads chosen for use in the Presley-themed Broadway musical, All Shook Up. Although a sign over the door of Fox Stage 1 on August 24, 1956, read, “Closed Set—Absolutely No Visitors,” the cavernous sound stage was packed with curious onlookers. 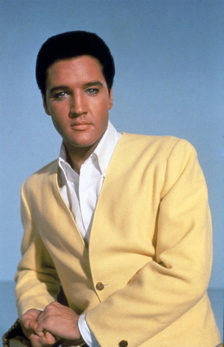 According to Trude Forsher, Colonel Parker’s secretary, most of the visitors were studio people who had heard that Elvis Presley was going to record a ballad for the soundtrack of his first picture. The record-buying public agreed. 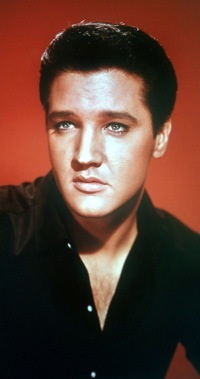 In late 1956, “Love Me Tender” spent 14 weeks in the top 10 of Billboard’s singles chart, including three weeks at #1. The recording proved that Presley’s ballads were just as marketable as his rock ’n’ roll numbers. Played at countless weddings in the early sixties, “Can’t Help Falling in Love” had a successful run on Billboard’s “Hot 100” starting in late 1961. It remained on the chart for 14 weeks, 8 of them in the top 10. It peaked at #2 on February 3, 1962, making it the third most successful Presley ballad in his career. Prior to Elvis’s recording, dozens of other versions of this tune had been recorded dating back to 1927. Presley’s rendition, however, superseded them all and still remains the standard performance of this song written 10 years before his birth. 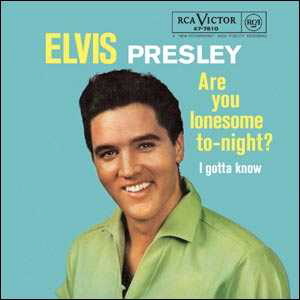 Elvis recorded “Are You Lonesome Tonight?” in the early morning hours of April 4, 1960, at RCA’s Nashville Studio B. Ernst Jorgensen recreated the mood: “With the studio lights turned down, Elvis gave the sentimental song the full theatrical treatment, creating a credible drama in which the singer is seduced, deceived, and finally abandoned.” Elvis put his personal stamp on the song with a heartfelt spoken recitation. "Elvis's ability to sing a love song was the key to his popularity in the long run"